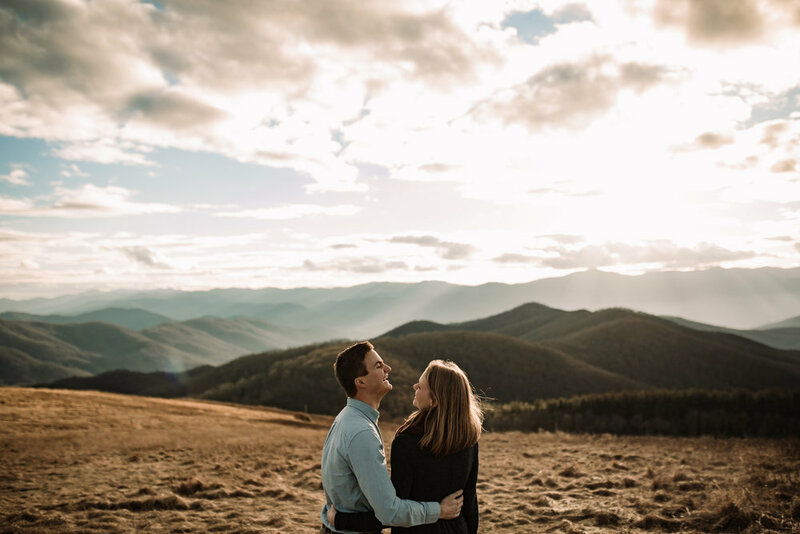 I got to spend the most beautiful afternoon at Max Patch with Hannah and Michael for their engagement pictures. At the top, you have a flawless, 360 view of the Blue Ridge Moutains in every direction you look. It's aboslutely breathtaking! 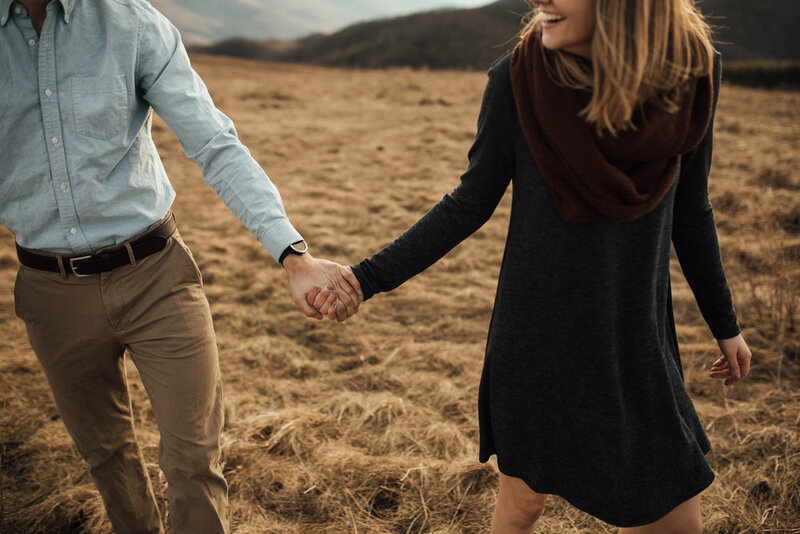 I love getting to spend this time with my couples, hearing their stories of first dates, silly moments, and their most favorite things about each other. 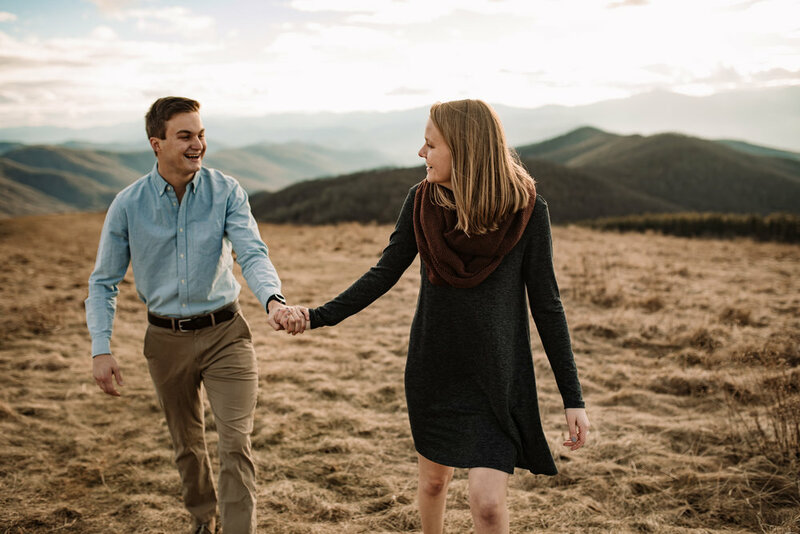 "Our first date was to Linville Falls, North Carolina where we hiked for hours. Michael wanted to go swimming in the waterfall at the end, which I was really unsure about! He dove in of course and convinced me to get in the water, and it was so amazing. That's a great example of how we encourage each other and how Michael pushes me outside of my comfort zone in the best way!" 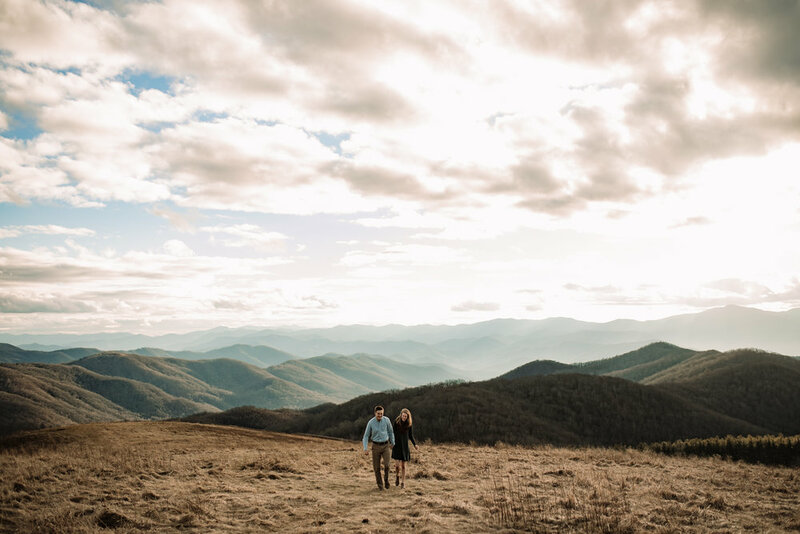 "We wanted to do our engagement photos at Max Patch because we love the mountains for sure. We love being outside, and we fell in love in the mountains while in college, so they always remind us of that really special time. We also can't pass up a good adventure!"